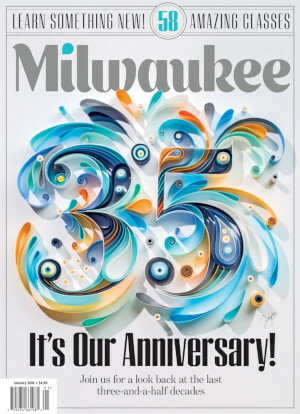 Complete the form below to subscribe to Milwaukee Magazine and save up to 80% off the newsstand price. Get it delivered for just $1 per issue! No offers are available, please try different promotion code or click here for standard offers. * Savings based on a regular newsstand price of $4.99 when you subscribe to 36 issues. Delivery in U.S. and Canada only. Call for foreign rates. Subscription will start with the next open issue cycle; may take up to 6 weeks to receive first issue.